While the building of mosques can instill fear in a community, mosques built in the true spirit of Islam can become strong and solid foundations serving the communities around them. 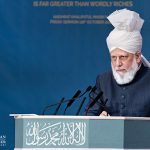 On Friday, 4th November 2016, the Worldwide Head of the Ahmadiyya Muslim Community, the Fifth Khalifah (Caliph), His Holiness, Hazrat Mirza Masroor Ahmadaba, inaugurated the Mahmood Mosque, the Mosque of the Praiseworthy, in Regina, the capital of Saskatchewan in Western Canada. At a special reception marking the inauguration, His Holiness addressed neighbours and local dignitaries, explaining how a true mosque is built to safeguard and protect others’ rights and describing how it was in the mosque that the Holy Prophetsa prayed fervently for his people. 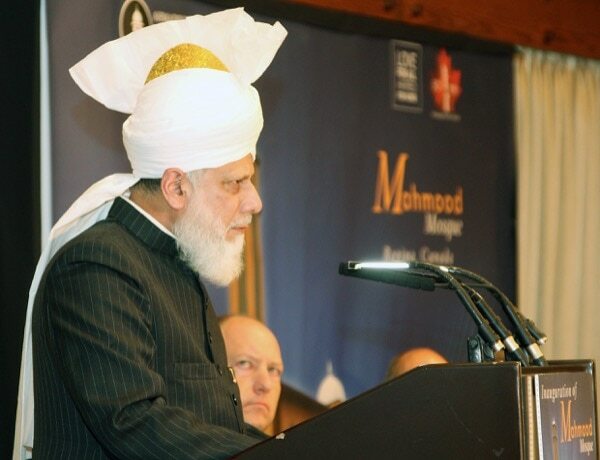 His Holiness addresses the audience at the opening of Mahmood Mosque in Regina, Saskatchewan, Canada. All distinguished guests, Assalamo Alaikum Wa Rahmatullah Wa Barakatohu – peace and blessings of Allah be upon you all. First of all I would like to take this opportunity to thank all of our guests for graciously accepting our invitation and joining us here this evening. The majority of you are not Muslims and so your attendance here at an Islamic function is a demonstration of your open hearts and tolerance and it obliges me to profess my heartfelt and sincere gratitude to all of you. My thanks is not given out of mere courtesy or as a hollow gesture but is a part of my faith, because the Founder of Islam, the Holy Prophet Muhammadsa taught that a person who is not grateful to his fellow man cannot be grateful to Allah the Almighty. 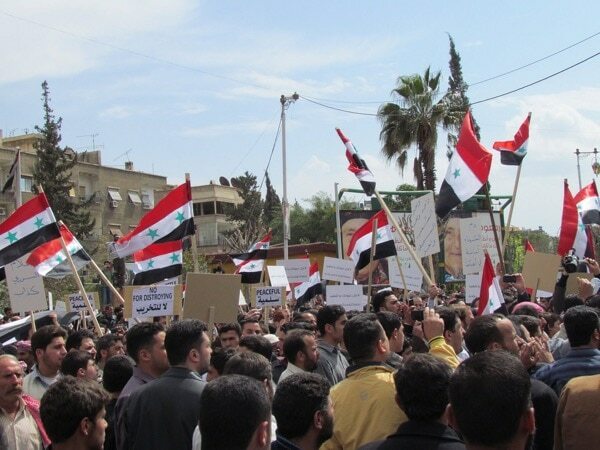 In Syria we have seen recently how the rebels have risen up in violent opposition to the government which has oppressed its citizens for decades. In this case, neither party involved is following the teachings of Islam. Hence, extending my appreciation to all of you, is actually my religious duty and is a beautiful part of the religious teaching that I, and every Ahmadi Muslim, acts upon and lives by. 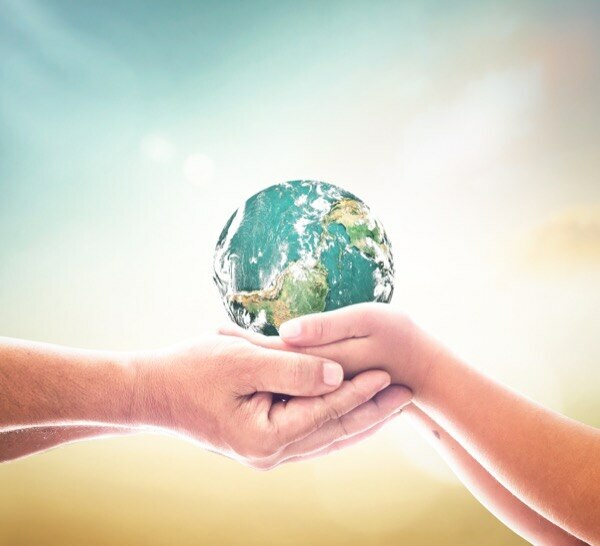 My gratitude is even greater given that we are passing through extremely precarious and turbulent times and this is particularly true of the Islamic world. We are all well aware of the fact that certain Muslim extremist groups have formed and are perpetrating the most horrific brutalities in the name of Islam. Where they are fighting one another, they are also waging wars against their leaders and rulers. Similarly, certain governments are also failing to fulfil the rights of their citizens and so rebel groups have formed and have risen up in violent opposition. As a result of all of this, there has been a complete breakdown in society in some Muslim countries. Rather than living peacefully, those nations are mired in a state of perpetual and utterly senseless cycle of violence and destruction. What is happening can only be deemed as an absolute stain on humanity. Of course, it is true that conflicts or violence are not entirely exclusive to the Muslim world. We also see civil wars and restlessness in some non-Muslim countries, particularly in economically challenged and under-developed parts of the world. Nonetheless, it is the disturbances in the Muslim world that are considered to be the centre of the world’s problems and the cause for greatest concern. 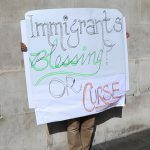 This is because a number of so-called Muslim terrorist and extremist groups have emerged who are not only committing heinous atrocities in their own countries but have also exported their terrorism abroad. Thus, a number of despicable and entirely unjustifiable attacks have taken place in recent times here in the Western world. For example, in the past year alone there have been terrorist attacks in Paris, Brussels, Orlando and other major cities in which scores of innocent people have been ruthlessly and barbarically slaughtered. Such incidents have caused for a climate of fear to develop in the West amongst non-Muslims and consequently we have seen a rise in what is commonly termed as “Islamophobia”. Thus, despite the fact that you are attending this function, and despite the fact that you have personal contact with Ahmadi Muslims, it remains quite possible that some of you may harbour suspicions and fears about our mosque. Recent mass shootings in France and the US have shown the barbaric nature of some so- called ‘Muslims’ who do not understand even the basic teachings of Islam. 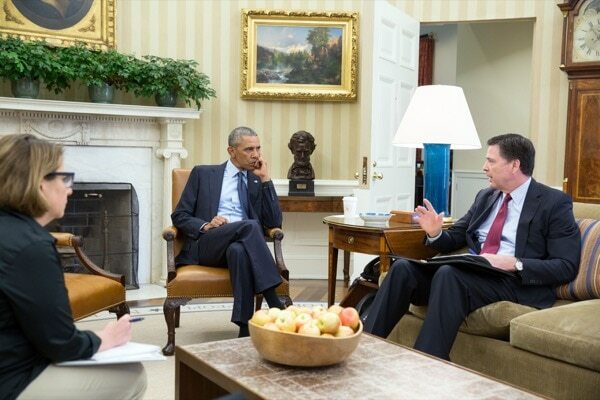 Here, President Obama receives updates on the shooting in Orlando which took place in June 2016. You may believe that whilst Ahmadi Muslims did not have a mosque, they lived here as a well-integrated part of society. However, now they have their own place of worship, you may fear that they could lock the doors to their mosque and shut themselves off from the rest of society and, even worse, could use their mosques to engage in extremist activities, plot attacks and undermine the peace of society. Given everything I have just said about the current state of the world, I would not blame you for holding such reservations if anyone has any, and actually I would consider such concerns to be entirely understandable. In light of this, at the very outset, I wish to make it clear to all of you that the objectives for which mosques are built are extremely noble and rather than being a cause of disorder, are actually a means of laying the foundation for true and long-lasting peace in the world. The first objective of a mosque is to be a place for people to congregate and collectively worship God Almighty, and to bow down and submit before Him and to beseech His mercy and love. However, it is not enough to merely pray for your own personal peace and prosperity, rather it is the duty of a Muslim to pray for the peace and well-being of all other people, regardless of their religion or background, because the Holy Prophetsa of Islam said that it is necessary for a Muslim to desire for others whatever they desire for themselves. Thus, if we want peace, security, love and respect for ourselves then we must also wish it for others. Accordingly, rather than spreading conflict and hate, true mosques are built with an intention to bring people together and to unite mankind in peace, harmony and mutual respect. The Holy Prophetsa was himself the perfect manifestation of this principle of desiring for others what you desire for yourself. Due to his utter despair and anguish at seeing how people were moving away from their Creator, the Holy Prophetsa would spend night after night bowed down in prostration, weeping before his Lord in a state of complete submission. His every prayer was consumed by utter torment beseeching God Almighty that why people were not spiritually and morally reforming. Why did they refuse to abandon their cruelties? Why were they unwilling to forsake wrongdoing and evil? And consequently, why were they putting themselves at risk of the punishment of Allah the Almighty? The Holy Prophet’ssa agony and anguish was so deep and his state of anxiety and despair was so great, that in a verse of the Holy Qur’an, Allah the Almighty addressed him directly, asking if he would “grieve himself to death” because mankind was not living in peace and was not fulfilling the rights of their Creator or of one another. 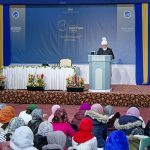 Thus, from every organ, every pore and every fibre of the Holy Prophet’ssa being gushed forth a spring of eternal mercy and compassion for humanity and so true Muslims, who follow him, can never enter mosques with ill-intent or with a desire to harm others. Rather, they enter with the firm conviction of supplicating before Allah the Almighty and imploring Him that the entire world should join together in peace and be saved from the wrath of Allah in the Hereafter. Hence, a true mosque is a guarantor of peace for all people, from all walks of life, and if, God forbid, a mosque is not built with these virtuous intentions then it is not fulfilling its purpose. Muslims are taught to pray for everyone, not just other Muslims; this is personified by the Prophet of Islamsa himself who wept in his prayer for the prosperity of every person. 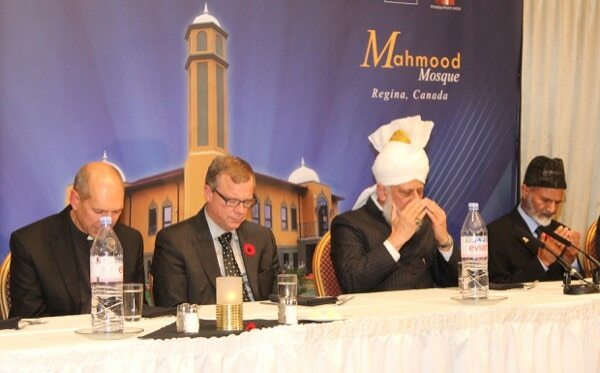 And mosques, as the place where prayers happen, are building blocks for the community. On one occasion, during the time of the Holy Prophetsa, a so-called mosque was erected with the intention of causing mischief and to spread disorder amongst society. Thus, it is written in the Holy Qur’an that Allah the Almighty instructed the Holy Prophetsa to demolish the mosque because it had been built with ill-intent and not for the worship of God and nor for the sake of fulfilling the rights of humanity. Therefore, the mosque was razed to the ground. These are the outstanding teachings of Islam, where Muslims are taught that to fulfil the objectives of a mosque, they must not only be devoted to their Creator, but must also cherish and care for their fellow beings. Consequently, from every possible perspective, the worship of God is intrinsically linked with fulfilling the rights of mankind. 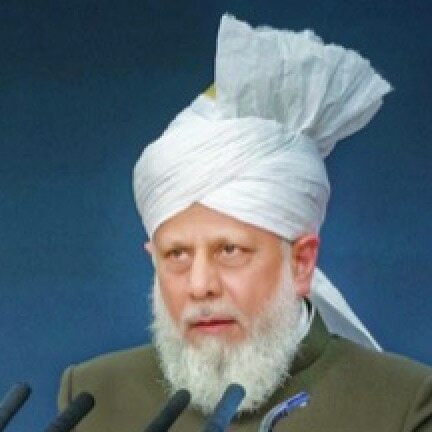 This is why the Founder of the Ahmadiyya Muslim Community said that Islam’s teachings could be summarised in just two lines – firstly, to faithfully love God Almighty and fulfil His rights and secondly, to love His Creation and fulfil their rights. With the Grace of Allah, the Ahmadiyya Muslim Community has always followed these teachings and so wherever we build mosques or have established communities we soon become well-known for our commitment to serving others. We are recognised for our willingness to make all possible sacrifices in the cause of humanity. Wherever there is a need, the Ahmadiyya Muslim Community is at the forefront of serving mankind. Our humanitarian services are provided across the board, irrespective of a person’s ethnicity, religion or background and our only objective is to provide comfort to those in need and to provide them with the means to a better existence. Hence, our mosques are not only places for us to worship Allah, but also serve as centres for us to congregate and to plan different ways to help the local people. 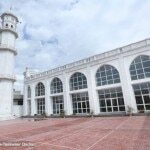 The only plotting that takes place in our Ahmadi mosques is to determine how we can quell the heartache and grief of those who are bereft and deprived. The only schemes we hatch are to remove the heavy burden of desperation and hopelessness that weigh down those who are consumed by hardship and misfortune. For example, we have built hundreds of schools and dozens of hospitals in the developing world in order to provide education and healthcare to people living in the most remote parts of the world. Similarly, we are also providing access to clean water in many villages and towns where such facilities did not previously exist. Living here in the West it is very easy to be complacent about the true value of water. In exchange for paying a regular fee to the water authorities clean water flows from our taps, and so it is extremely difficult to comprehend how desperate people living in Africa and other impoverished parts of the world are for this priceless commodity. Water is the means of life and yet in many parts of the world there are people who have little or no access to it. In African countries, if it rains their ponds may fill, but quite often there is drought and so the ponds run dry, leading to a grave shortage of water. In fact, even where there is rainfall, those who live in villages or remote areas, still do not have access to clean water, because the pond water that they use is contaminated with all kinds of bacteria and toxins. The same water they use to drink, bathe, cook and wash their clothes, is used by animals to drink and is often polluted by animal waste. Further, it is not as though such dirty water is available on tap, rather it requires young children to walk several kilometres carrying water vessels balanced on their heads. Serving mankind is an intrinsic part of Islam. Without this a Muslim cannot fulfil the due rights of mankind that God Almighty has made incumbent upon them. This is crucial in laying the foundation blocks of a peaceful society. I personally lived in Africa for a number of years and so I have seen this with my own eyes. At an age when young children should be in school and should be free, they are forced by dire circumstances beyond their control to endure daily routines that are unimaginable to those of us living in the comfort of the West. Here in the developed world the daily concerns of people are trivial by comparison. The most we have to worry about is ensuring that our children get to school on time each morning or other similar minor issues. Such insignificant problems are a distant dream for the people living in deprived parts of the world. Those children would give everything for the opportunities that our children have here. What they would give to be able to go to school each day rather than having to walk great distances to fetch water for their family’s daily domestic use. Thus, in an effort to bring comfort to such people and in order to literally quench their thirsts, the Ahmadiyya Muslim Community is providing access to clean drinking water through the installation of hand or solar-powered water pumps. Often our volunteers take photos or videos of the moment when the locals see water flowing from the taps for the first time and later they share them with me. After having lived in complete destitution, the look of pure and unbridled joy on the faces of the local people, especially the young children when they see clean water for the very first time at their doorsteps, is a sight to behold. It is as though all of their hopes and dreams have been fulfilled all at once and as though they are the recipients of the entire world’s treasures. We, Ahmadi Muslims, take pride in being able to serve such people and consider it a blessing that we are able to provide relief and ease to others because this is the way of Islam. As a result, wherever the Ahmadiyya Muslim Community builds mosques, soon the local people come to recognise and openly attest to the fact that we are selflessly serving humanity, irrespective of differences of religion, and are contributing to the society in the best possible way. In the same way, Ahmadi Muslims also seek to support and assist people stricken by natural disasters. To cite one recent example, just a few weeks ago, Hurricane Matthew was the cause of huge destruction and devastation in Haiti. As a result, Ahmadi Muslim volunteers were immediately sent there by Humanity First, which is a humanitarian relief organisation established by our Community, and they were able to assist the Royal Dutch Navy in the relief efforts. The efforts of our Ahmadi volunteers had such a profound effect that the Commander of the Dutch Naval Ship later wrote a letter of appreciation to us in which he said that he had never seen any other organisation serve with such dedication, selflessness and devotion as the Humanity First team. Therefore, I say again that true mosques and true Muslims are nothing to be feared. 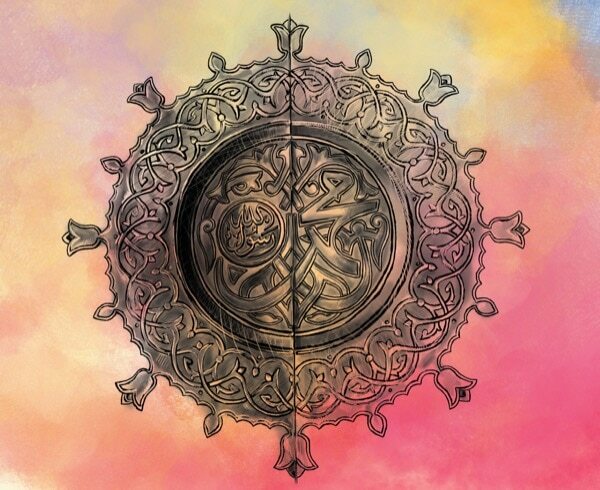 Our Jihad is not a false Jihad of terrorism or violence, rather our Jihad is the same as was defined and practiced by Holy Prophetsa of Islam. Upon returning from a defensive war that had been forced upon the Muslims, he told his companions that they were returning from a lesser Jihad and were now moving to a far greater Jihad, which was of discharging the rights owed to their Creator and of mankind and of reforming their inner self. Hence, our Jihad is not a Jihad of swords, guns or bombs. 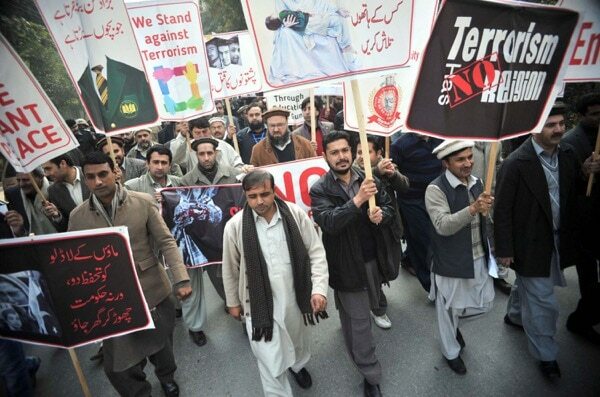 Our Jihad is not a Jihad of cruelty, brutality and injustice. Rather, our Jihad is of love, mercy and compassion. Our Jihad is of tolerance, justice and human sympathy. Our Jihad is to fulfil the rights of God Almighty and of His Creation. If we have formed any Jihadi group, it is not for the purpose of brutally attacking and killing innocent people, or for launching evil terrorist attacks at clubs, stations or anywhere else, rather it is to establish the rights of all people in all places at all times. To achieve these aims we do not violently brandish swords or fire guns, rather our weapons of choice are love, compassion, sympathy and above all, prayers. Accordingly, now that this mosque has been built I am confident that the local Ahmadi Muslims will not only increase their attention towards the worship of Allah, but will also focus ever more on serving humanity. As our neighbours, you will see that this mosque will stand as a beacon of light that illuminates society with universal values of benevolence, compassion and grace. You will see how this mosque will prove to be a glorious symbol of peace, prosperity and sanctuary for all of mankind. His Holiness leads the guests in silent prayer at the conclusion of the event. 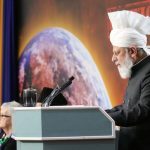 Certainly, the Holy Qur’an has laid great emphasis on the rights of one’s neighbours, to the extent that the Prophetsa of Islam once said that God Almighty had drawn his attention to their rights so much that he came to think that perhaps neighbours would be included in a person’s rightful inheritors. Thus, if any of the neighbours continue to have any misgivings or fears about this mosque they should remove them once and for all. We Ahmadi Muslims will seek to care for the neighbours, protect them and honour them so that we can fulfil the objectives of our faith. The local Ahmadi Muslims will, God Willing, prove themselves to be loyal and devoted members of the local community and will seek to serve all of you to the very best of their abilities. May Allah enable them to do so.